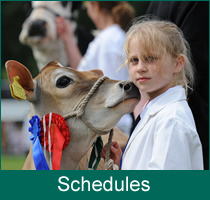 The Honiton & District Agricultural Association – “Where Farming Comes First” The show is annually held on the first Thursday in August and has grown to be one of the largest one day agricultural shows in the country. 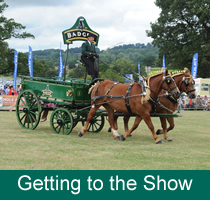 The show is held in the heart of the East Devon Countryside on a 140 acre site which was purchased by the Honiton & District Agricultural Association in 2003. The show has a unique atmosphere blending traditional and new where its emphasis is agriculture and its associated activities first and foremost. It is a showcase for the best of local farming, produce, crafts and rural skills. The Association has a membership of over 500, is a company limited by guarantee and is a registered charity, which makes donations yearly to a wide range of local, agricultural and educational causes. The aim of the Association is to promote agriculture and related industries, specifically by the staging of its annual show. Each year an official charity is nominated by the elected President in office and is given the opportunity to raise funds during the show. The Association supports successful Farms Competitions with classes running throughout the year ranging from barley to silage. The show is delighted to host the West of England Hound Show, the second largest in the Country, attracting packs from all over the British Isles. 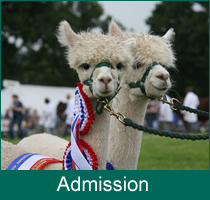 Honiton attracts more than 20,000 visitors, over 1,000 livestock entries and in excess of 400 trade exhibitors making it one of the largest business and social events in East Devon. We are indebted to our fantastic team of stewards who enable the show to run so smoothly, if you would like to volunteer we would be delighted to hear from you. Click here to view the layout of the show.